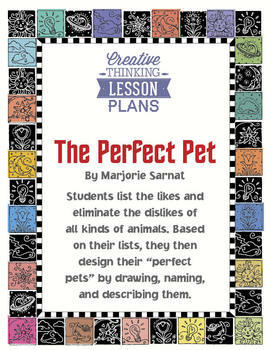 In this exercise in preferences, students list their likes and dislikes about all kinds of animals. 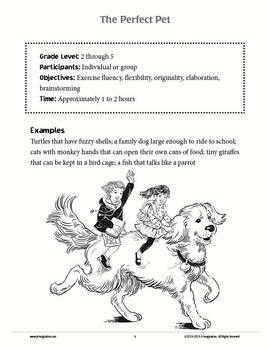 They then design perfect pets by combining their likes and eliminating their dislikes. 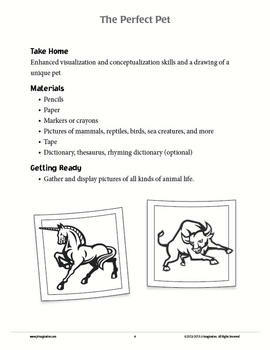 By drawing and naming their pets, writing descriptions about them, and staging a Perfect Pet Show, students demonstrate their ingenuity and conceptualization skills.